Are you ready for a night out filled with wine, not-so-fine art and probably laughing-till-you cry? Connect with your inner van Gogh or Picasso at our Wine & Paint Night! 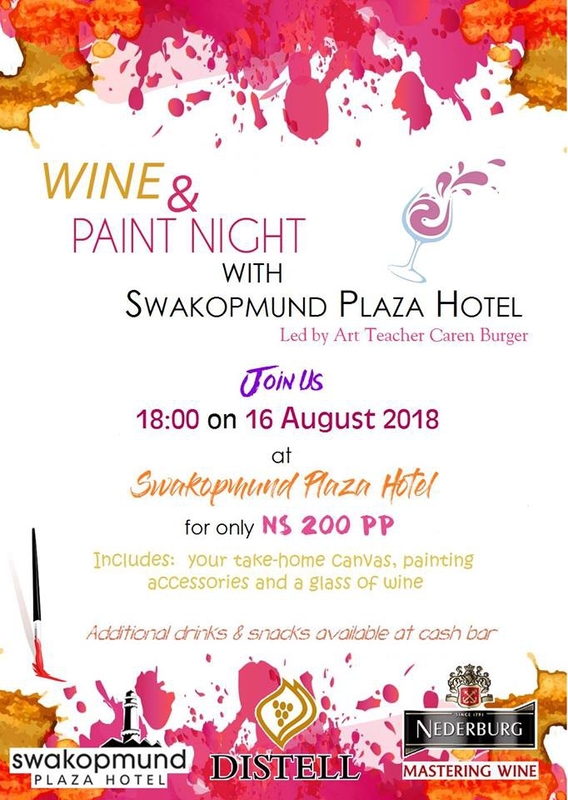 That's right, join us on 16 August at 18:00 for our first Wine & Paint night. The fun, interactive class will be led by known art teacher, Caren Burger. Don't be nervous, you don't need to know anything about painting or art. Tickets are EXTREMELY limited and we promise, you want to get them while it is still payday. This is not the get-together you want to miss! Send us a PM on our page, an email to charles@plaza.na or johan@plaza.na or call us directly on 064 426 500 to get yours now!